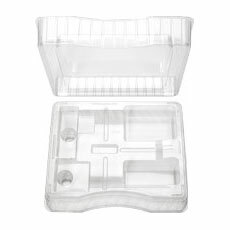 This program allows you to create your own custom clamshell while only having to pay for the mold insert. 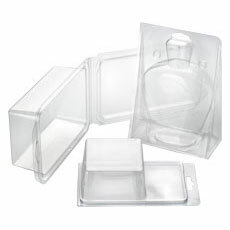 You decide what cavity size goes in the outside dimension and we make mold inserts for your special design. 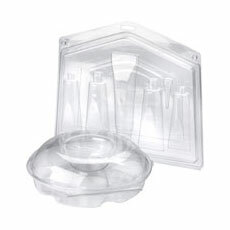 It is quick, simple, and the most inexpensive way to customize your clamshell packaging. Will one of the following sizes work for you? 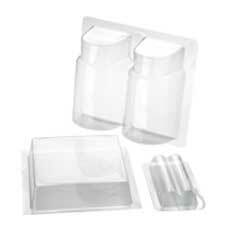 Samples are available and recommended for testing dimensions, including insert card dimensions. It is advised to send a clamshell sample to your header card supplier for testing.